Do you have a box full of old photo albums sitting around somewhere? While I like to be organized, I’m not a minimalist. I have cards, notes and pictures from early in my childhood that I could never bear to part with. I love my pictures, but I don’t have room to store 15 photo albums. 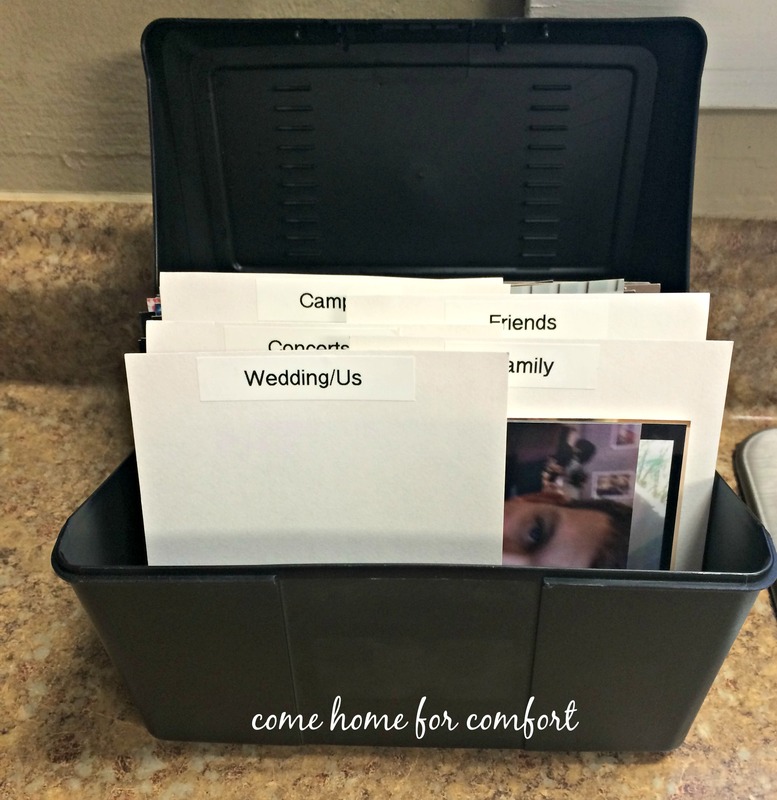 I’ve heard other organizing gurus talk about storing photos in an index card box, and I thought I’d give that a shot. 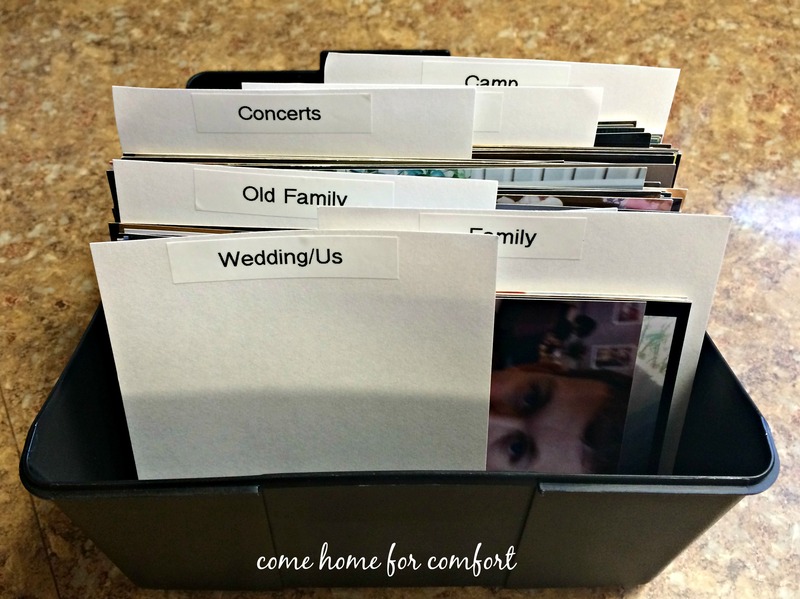 Here’s how I paired down and organized my photo collection! First, I went through all the albums and pulled out the pictures I wanted to keep. Then, I sorted them by category. I always like to use what I have on hand, so I grabbed some index cards to use as dividers. My new label maker came in handy and gave me perfectly uniform labels. Love! This box holds a lot of pictures, and I have plenty of room to add more. Leaving room to grow is key in organization. 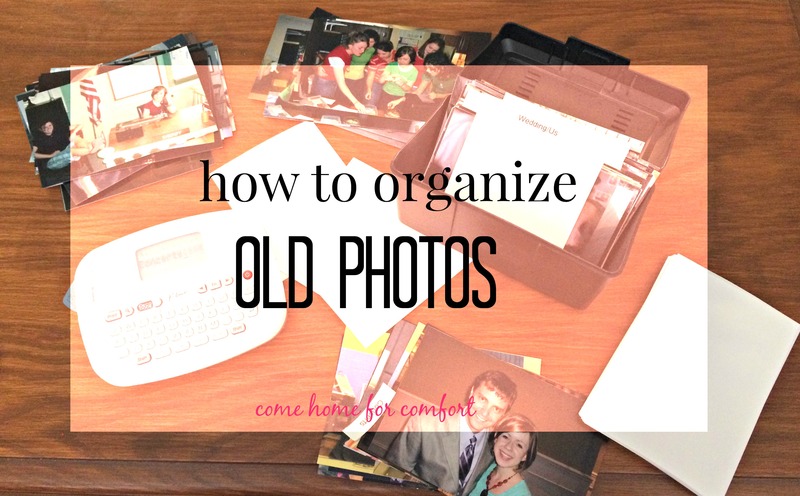 How do you organize your old photos? Previous Post High Five for Weddings! Next Post Sister of the Bride! Thanks for inspiring me to print and organize my photos! Love this idea!!!! So resourceful and simple! I could totally do this! Seriously, this is the best ever! I have TONS of old pictures that I have no idea where to put them. Thank you for sharing this idea! You’re welcome! I’m so glad it inspired you! 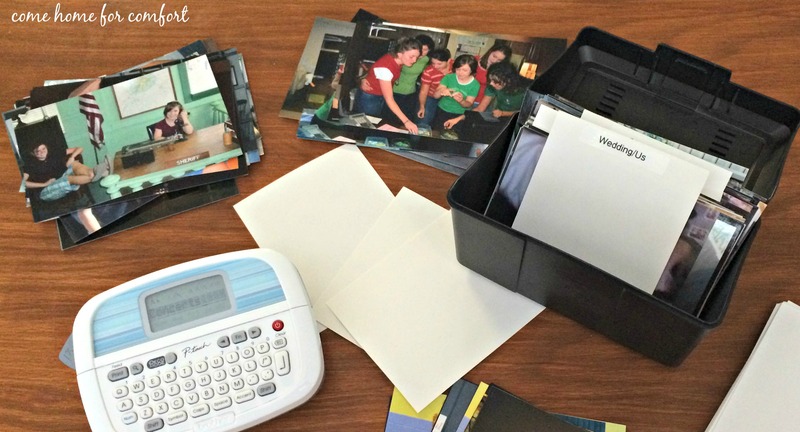 I love the idea of using greeting cards to embellish your scrapbooks!